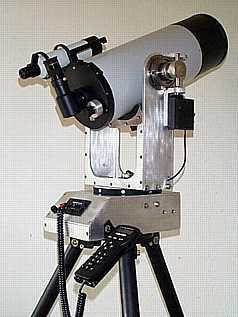 This page is for user comments and information specific to the Meade DS telescope models. Accessories and Feedback items appropriate to the ETX models are posted on other pages as appropriate. If you have any comments, suggestions, questions or answers to questions posed here, e-mail them to me and I'll post them. Please use an appropriate Subject Line on your message. Thanks. I been thinking about bying a refractor , but i dont know what to get. realy best? ), Helios sp. or any others? other scopes , please do so!!! Mike here: Check the DS Models Feedback page and the ETX-60AT, ETX-70AT Feedback page on my site. Small telescopes will really not show much planetary details, especially on Mars (except during a very favorable opposition). You will see phases of Venus (and maybe Mercury), Cloud Bands on Jupiter, and the Rings of Saturn. With luck and excellent seeing during a favorable opposition, you might see a Martian Polar Cap. Also, check the Accessories - Eyepieces page and the Buyer/New User Tips page for info on eyepieces. wanted to know where i would post my questions? Mike here: You can send the questions to me and I'll post them on the DS or Autostar Feedback page (as appropriate). Alternatively you can post questions on the alt.telescopes.meade newsgroup. Thanks again Mike for a great site. Do you have any idea where I can find info on which model packages (e.g. Polaris, StarQuest, etc) come with what? names (printed on the box) on the Meade website. Mike here: The printed catalog doesn't have any names for the DS models. Thanks for the quick reply. They sure make it confusing. 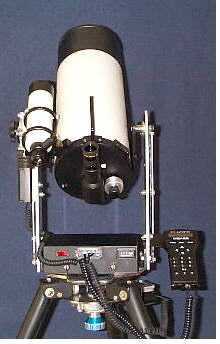 OPT (Oceanside Photo and Telescope) for $399. I was really surprised. bought for 1/3 the price that I sold my ETX for. Check the Feedback Archives for previous editions of the DS Models Feedback pages.